Are Hybridized Fishing Kayaks Truly What They Claim To Be? 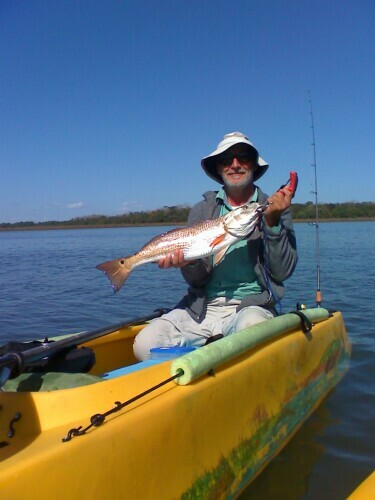 Many experienced fishermen are searching for new and novel ideas to improve their user experience when kayak fishing. Some kayak manufacturers are attempting to meet this demand by selling a new variety of wide fishing kayaks dubbed Hybrid Kayaks. This kayak design is a mix of kayak, and canoe, or essentially a small, flat canoe. Kayak fishing media are filled to the brim with reviews praising the stability and new canvas frame seats that some of these fishing kayaks feature. Some manufacturers claim that these hybrid kayaks offer the ability to fish standing up, which is arguably false, when it comes to the average Joe fishing in the real world. Are these hybrid fishing kayaks as stable as claimed, and are they better than the conventional SOT kayak and sit in kayaks? Read more in this comprehensive report on hybrid fishing kayaks . Author bass largemouthPosted on Categories back pain, choosing a fishing kayak, fishing kayak, Fishing Kayak Ergonomics, kayak fishing, kayak fishing safety, Wavewalk Fishing KayaksTags canoe, choosing a fishing kayak, Ergonomics, fishing kayak, fishing kayak safety, Hybrid fishing kayak, kayak fishing standing, offshore kayak fishing, SOT fishing kayak, stability, stand up kayak fishingLeave a comment on Are Hybridized Fishing Kayaks Truly What They Claim To Be?